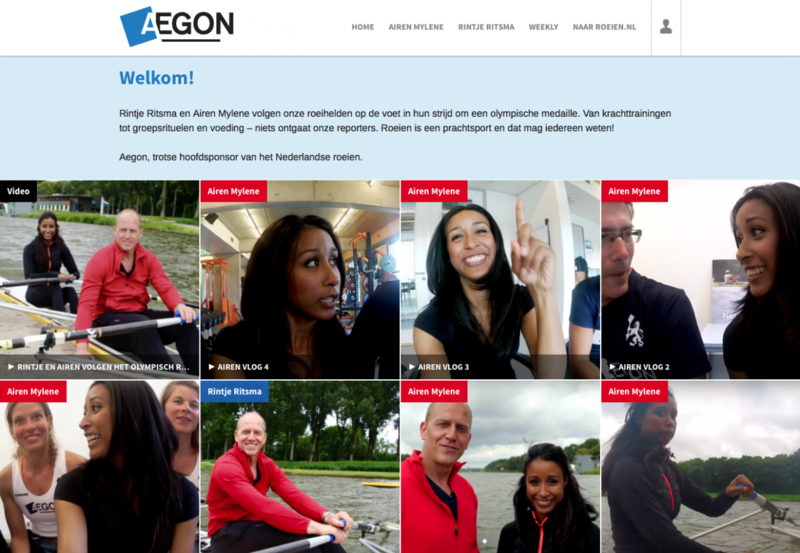 Týrsday built a new social website for Aegon to give Rintje Ritsma and Airen Mylene a platform to display their rowing adventure, working closely with Helden and the National Rowing Federation. The Olympic Games is the greatest sporting event known to man. The best athletes from around the world gather in one city to compete at the highest level of their discipline for three weeks. For fans it is an opportunity to enjoy many of our favorite sports in one concentrated period of time, but also to come across new ones which they otherwise might never had noticed. Rowing has been contested at every modern summer olympics since 1896. Despite such a rich history most casual fans have never rowed themselves or lack in depth knowledge on the technicalities of the sport. We believe that when you know a sport you can enjoy it on a deeper level. Getting to know a sport works best via people in the sport and people who engage you in the sport. The Royal Dutch Rowing Federation (Koninklijke Nederlandse Roeibond) aims to tap into the many sport fans who might not yet be acquainted with rowing by way of a content and community driven website: roeien.nl. The website comprises of dedicated social and community driven content and content by and about the olympic rowers. The power behind this website will be the involvement of the rowers who have been extremely generous in committing to creating a lot of behind the scenes content. The willingness to share their experience from up to a few minutes before their race to right after they get out of the boat will bring the entire Olympics to life in a way that has never been done before with traditional media. The adventures of the rowers will travel around the web, via the fans of the sport, the relatives, the friends of the athletes and the sponsors, to people new to the sport. "Rowing is a beautiful sport that we are proud of and we want everyone to know it"
To bring this beautiful sport to the fore ahead of and during the Olympics we partnered with Aegon, Helden Magazine and the KNRB. Together we enlisted the help of Airen Mylene (Dutch television presenter) and Rintje Ritsma (6x Olympic medalist ) to bring the fans closer to the sport of rowing. Leading up to and during the olympic campaign they will follow the national equipe on their road to Olympic gold, creating a wave of national enthusiasm along the way. Everything will be documented, from sessions in the weight room to pre-race team rituals and nutrition — they won’t leave a stone unturned. Rowing is a beautiful sport that we are proud of and we want everyone to know it. Týrsday developed an activation platform to follow the rowing adventures of these two influencers. This platform has been fully integrated in the existing rowing website. The KNRB’s ambition is to engage more people with the Olympic rowers and expand the reach of the rowing sport in the longterm. Týrsday’s approach is to get the Dutch rowing community to connect with and embrace the rowers. The solution? Step 1: have the rowers and KNRB continue to produce content that the community wants to consume. Step 2: Get fans to create and share content themselves, thereby plugging into the community. 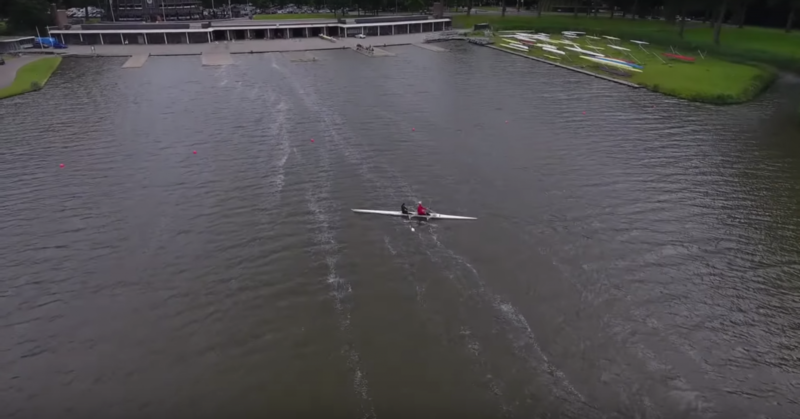 "This proven technology, proven course of action, proven athletes and proven team is guaranteed to generate a buzz during the Olympic Games on the water and on the web"
We have been working closely with roeien.nl since the World Championships in Aiguebelette. Our cutting edge technology has proved to grow rowing as a sport on a macro level as well as, maybe more importantly, increased the social energy surrounding the KNRB and its athletes. With this technology and existing relationship with the KNRB we have a solid foundation on which to launch the activation site of Airen and Rintje, while working together with quality content producers of Helden. This proven technology, proven course of action, proven athletes and proven team is guaranteed to generate a buzz during the Olympic Games on the water and on the web.